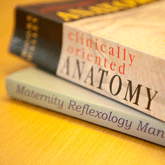 Here at Anatomy Manchester we are used to dealing with pregnant women at all stages of the pregnancy. During pregnancy a woman’s body goes through incredible physical and hormonal changes before and after delivery. During this time, you may experience many discomforts, which for years have been accepted as ‘normal’. However, this is now no longer the case. As experts in our field, we can assess and effectively treat the problems you experience relating to muscles, joints, bones and circulation. We can help eliminate and ultimately reduce these symptoms through the use of injury rehabilitation and physiotherapy techniques. The most common complaint we see in pregnancy is pelvic girdle pain. Here at Anatomy in Chorlton the physiotherapy techniques we commonly use are very effective at helping you through this painful time. They will not cure your issues as the body continually changes throughout pregnancy with hormone levels constantly altering, but they will help get you through some of the more painful times. Our physiotherapists in Chorlton work closely with our personal trainers who are onsite to recommend many exercises that can be done at home on a regular basis for a fitter, more birth-prepared pregnancy. These techniques will help create a stronger and healthier body throughout your pregnancy.